Place peeled chestnuts into a food processor. Process until finely chopped. Add oil, salt and water and process until smooth and creamy (if necessary, add extra water to reach desired consistency). Transfer chestnut mixture to a clean airtight jar. Store in the fridge for up to 2 weeks. Great ways to use it …. 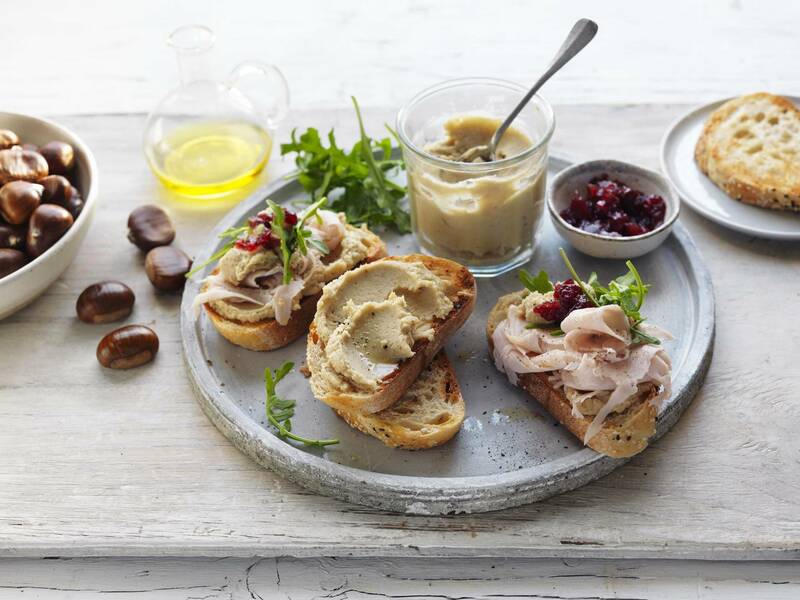 Spread chestnut & maple butter on toast and top with sliced turkey, rocket and cranberry sauce. Drizzle with extra virgin olive oil, season and serve. Spread on toast and top with fresh ricotta and sliced banana. Drizzle with maple syrup and serve. Add to soups, sauces and gravies to add an extra special flavour.